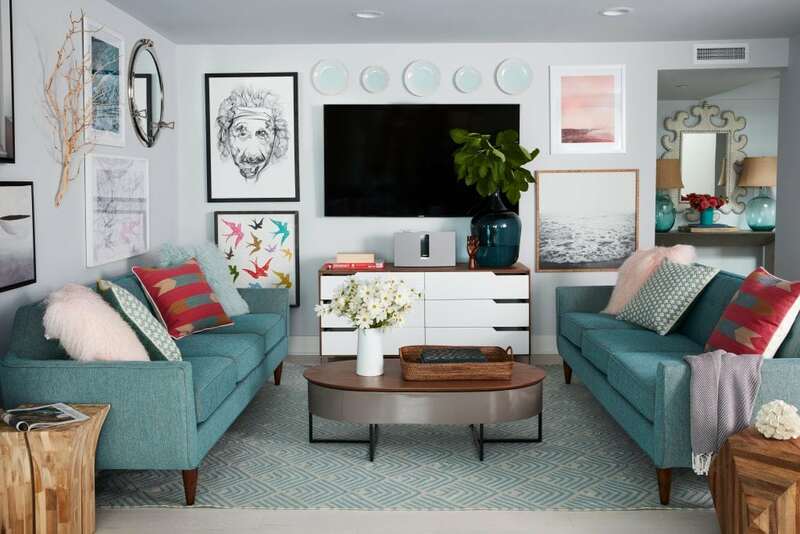 A Private Tour of the HGTV Dream Home 2018 and a Chance to Win It! 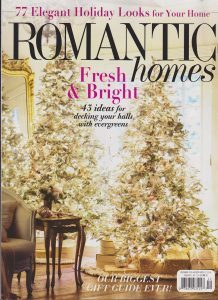 SPONSORED POST: This post is sponsored by HGTV Dream Home 2018, but the content and opinions expressed are my own. 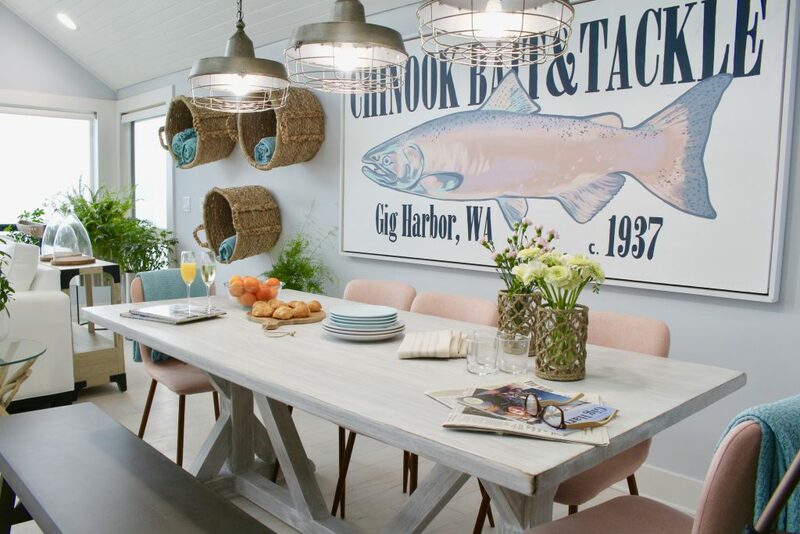 A few weeks ago I got an email inviting me (along with several other bloggers) on a private tour of the HGTV® Dream Home 2018 in Gig Harbor, Washington. And let me tell you, that was an email I did not ignore! I had to actually read it twice before I could even believe it was real! I am so honored to have been chosen and given this amazing opportunity. 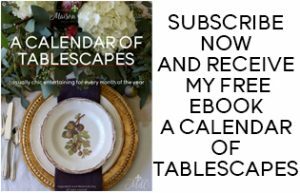 This is the kind of thing every blogger dreams of, and it was truly a dream experience! The trip was a whirlwind, but what a whirlwind it was! After having a wonderful dinner with all the other bloggers on Friday night, we were off and running the next morning for the tour. And it did not disappoint! If anything, I would say it exceeded my expectations. So here we go! 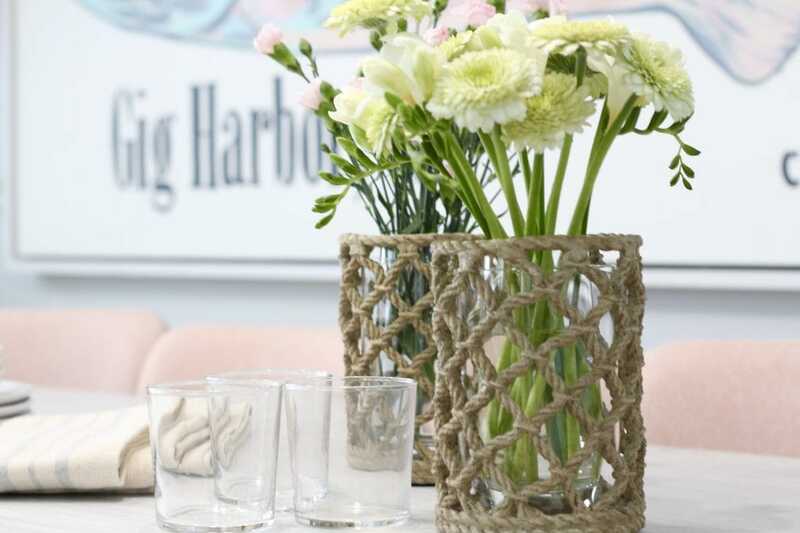 So come on in and take a look at the HGTV Dream Home 2018! And don’t forget to scroll all the way to the bottom of the post for details on how to enter for a chance to win this amazing house! 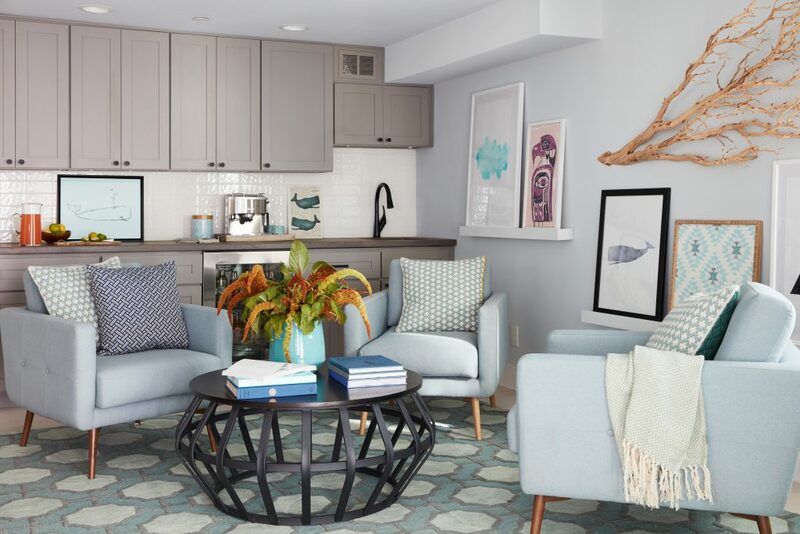 HGTV® Dream Home 2018 Tour! 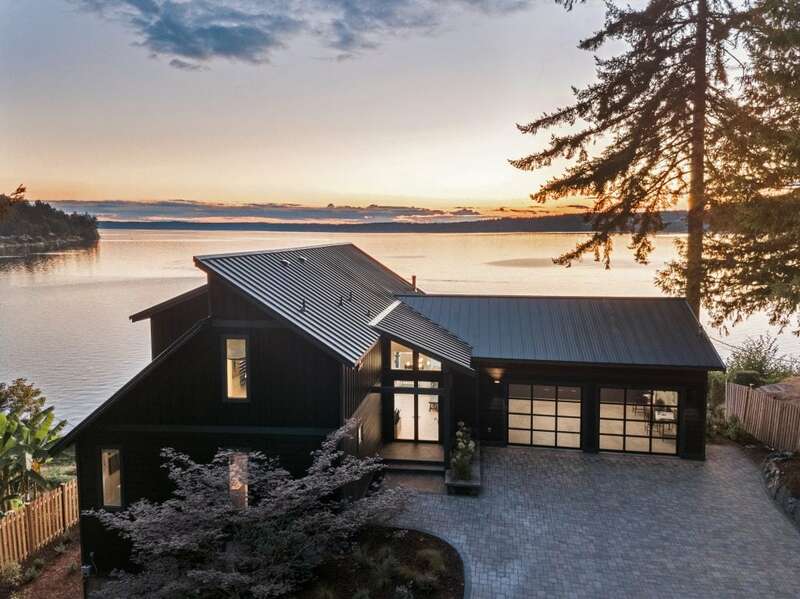 The house is three levels, approximately 3500 square feet, and overlooks the Puget Sound. 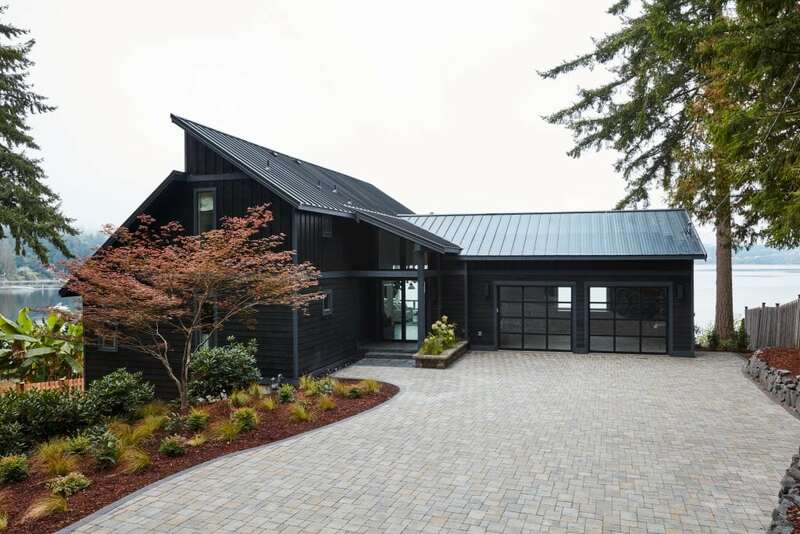 It has 4 bedrooms, 3 1/2 baths and was completely renovated reflecting the style of the Pacific Northwest. I absolutely love the doors and how you can see all the way to the back and that view! 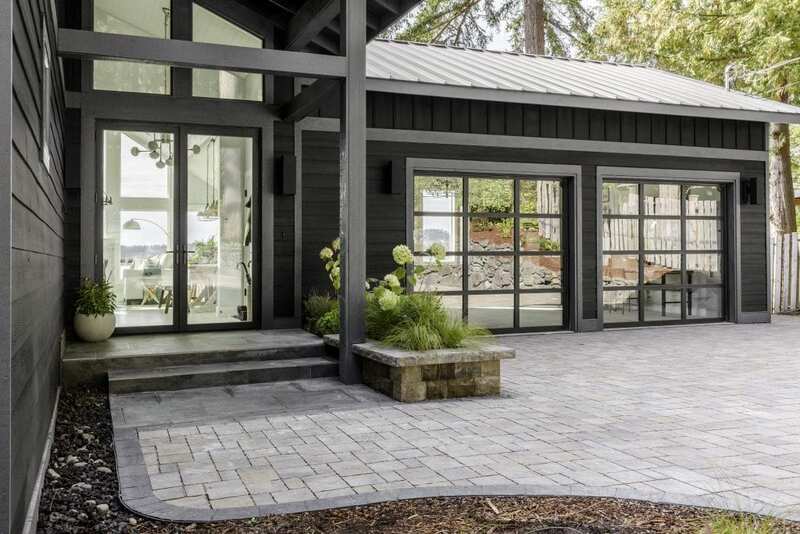 And how about those gorgeous mirrored garage doors?! When you first enter the home on the main level you see this dining area adjacent to the great room. How cute are those pendant lights?! And this is the money shot! How about that view???? This is the great room/living area on the main level and has almost 360 degree views of the water. 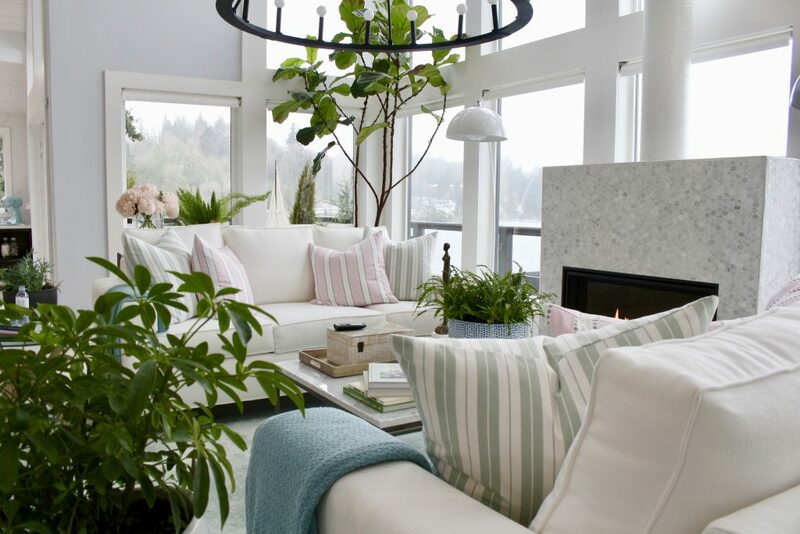 Much of the decor is in shades of pink, blues and pale greens. 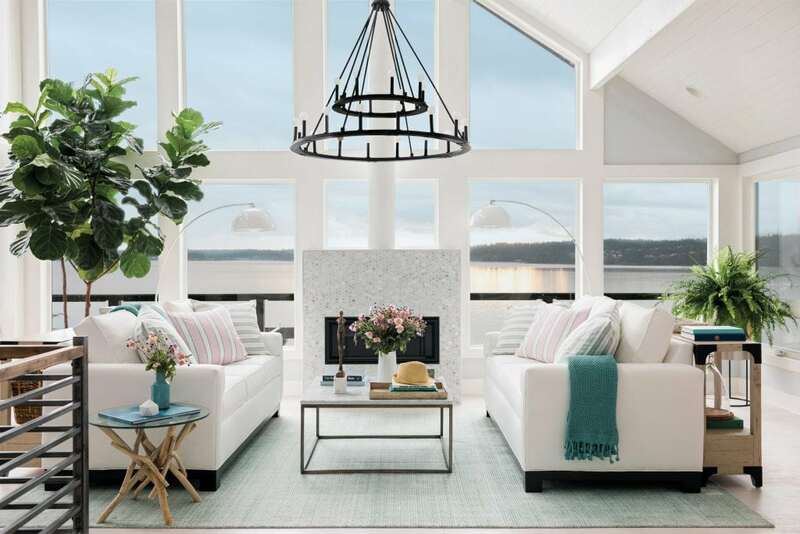 Designer Brian Patrick Flynn was inspired by the colors of the sunset as it reflected on the water, and this is his way of bringing some that outside palette, inside. I love the baskets on the wall. 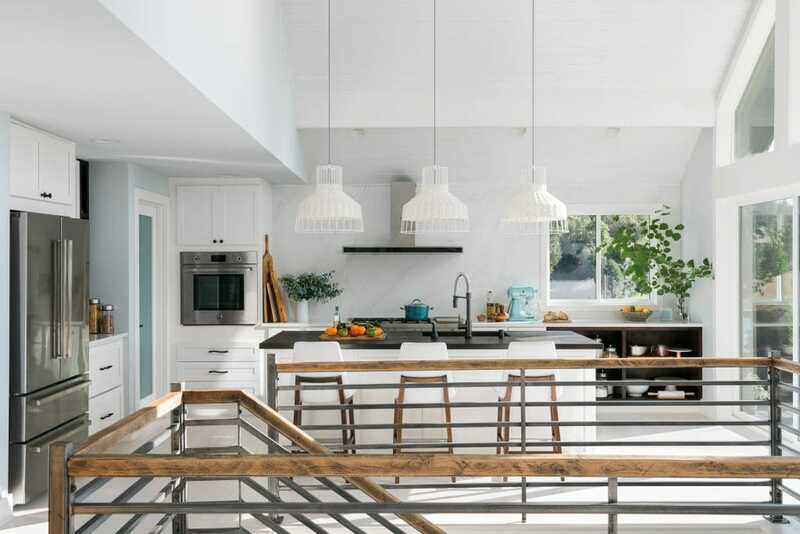 The kitchen is sleek and modern with lots of white (you know I love that!) 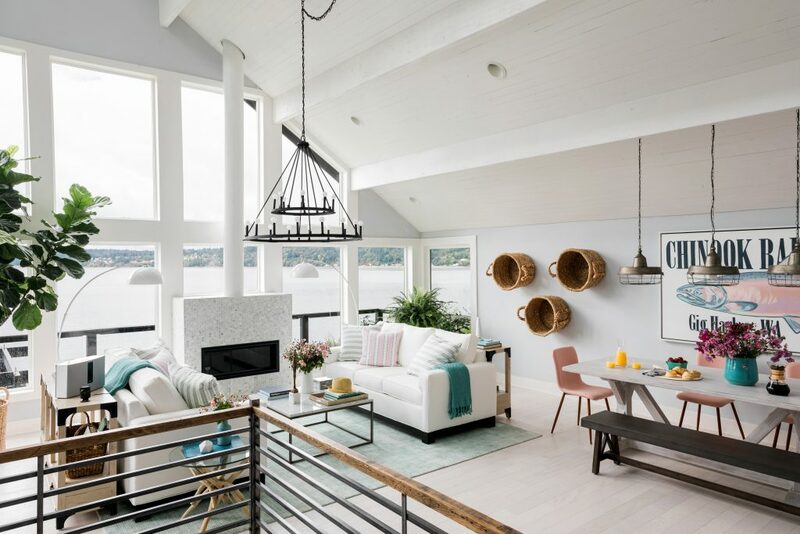 Those white wicker pendants are a favorite touch. 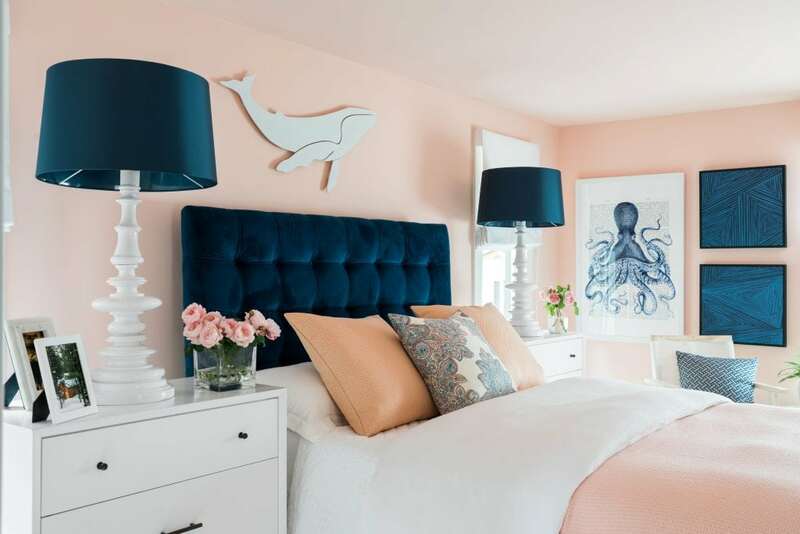 The only bedroom on the main floor, this guest room is done in shades of pink. Love the gorgeous navy blue velvet headboard! We are now on the third level overlooking the stairs. I wanted you to see the gallery wall that Brian did on the stairwell wall leading up to the third level. I adore it! He did such a wonderful job of making it look like it’s been collected over time with mirrors, antlers and different types of art. 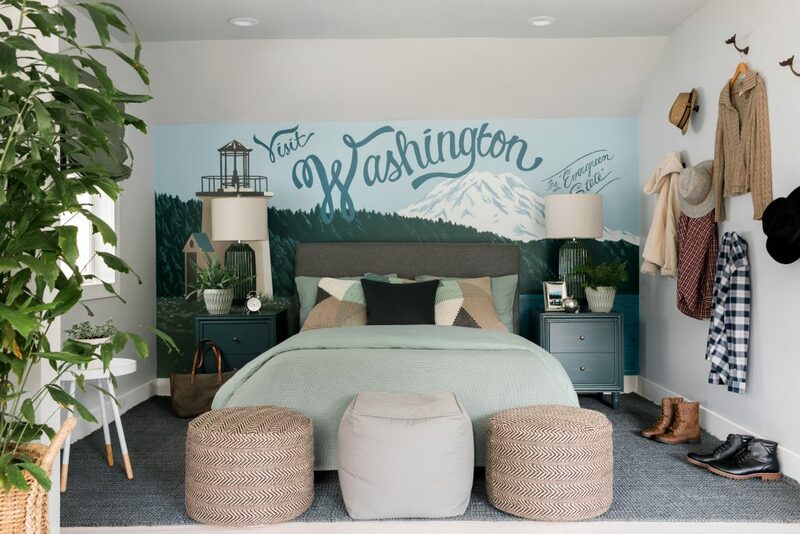 Master bedroom on the third level with a custom mural painted on the wall. Sitting area in the master bedroom. I’m in love with that adorable roman shade! In fact, the window coverings in the whole house are gorgeous. 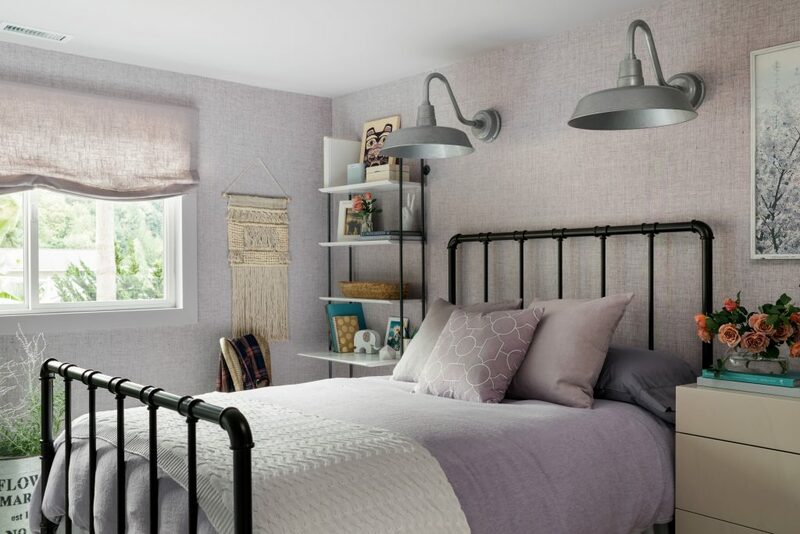 The first of two bedrooms on this floor is this one dressed in pale lavender and mauve. This was my favorite guest room! I loved the color palette, textured wallpaper and cute roman shades. 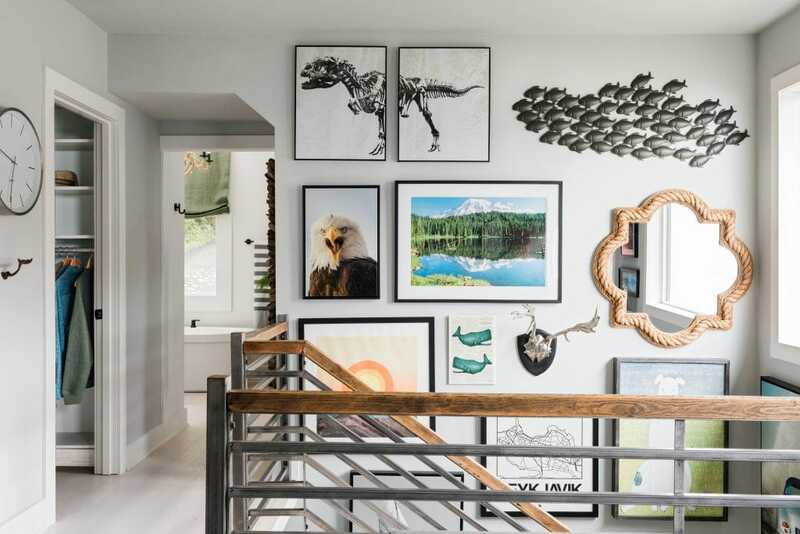 And those oversized sconces are an unexpected touch. 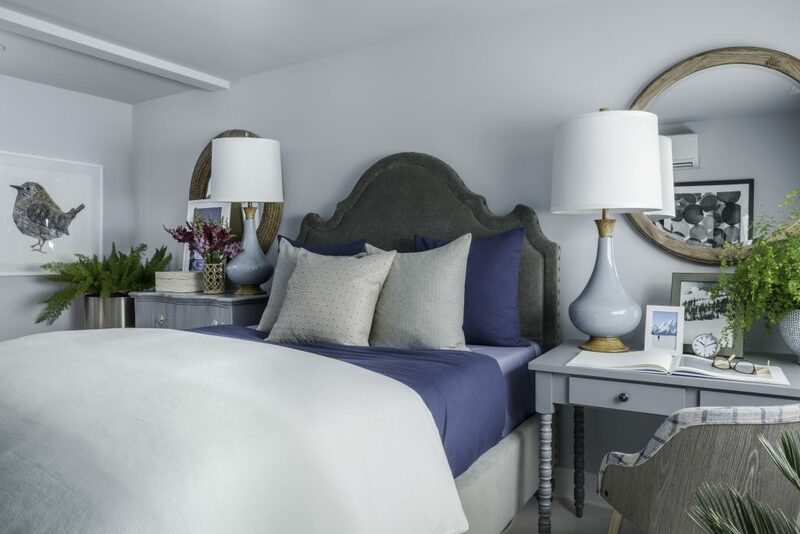 The second bedroom on this level is done in blues and grays. Downstairs den with plenty of seating and relaxing space, as well as a TV area. And what waterside home is complete without a cocktail lounge?! This sits right inside from the deck. Outdoor deck which is accessed from the first floor. The views are incredible! 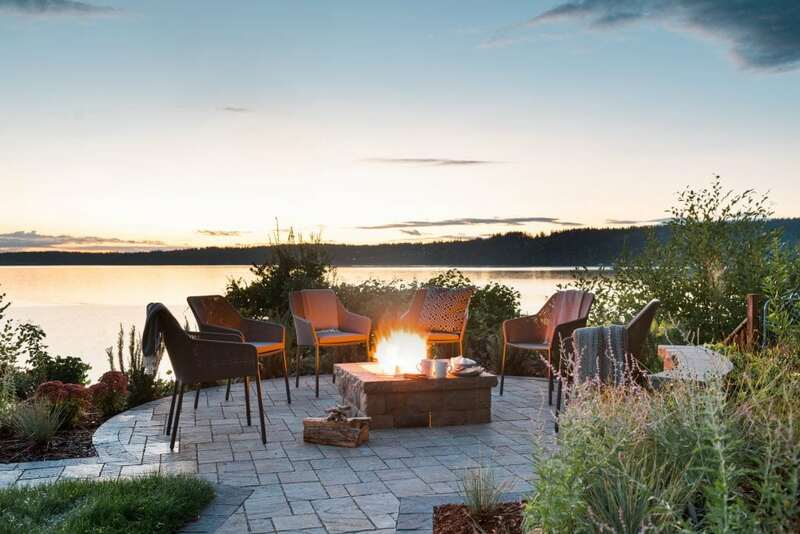 The fire pit and sitting area sit close to the water’s edge. 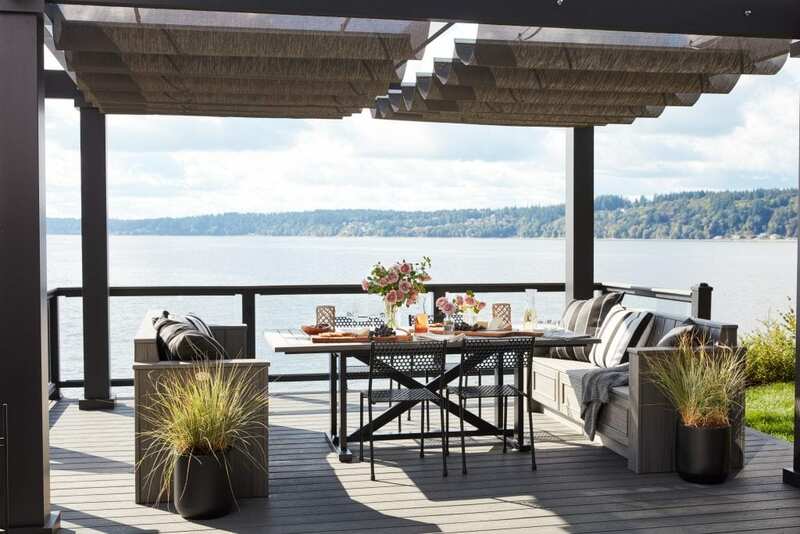 Can’t you just imagine sitting here at night enjoying a glass of wine or relaxing with your morning coffee? Sign me up! The pictures don’t even capture how beautiful the house was in person! Not only could you see the results of all the hard work of everyone involved, but we also got a personal tour from the designer himself. It was such a treat to meet Brian Patrick Flynn! He was gracious and down-to-earth, and he loved answering detailed questions about the house, which was awesome! A special thank you to Chesney, Mallory, Jodie, Joan and Michael and the rest of the HGTV group! Thank you so much for the opportunity! 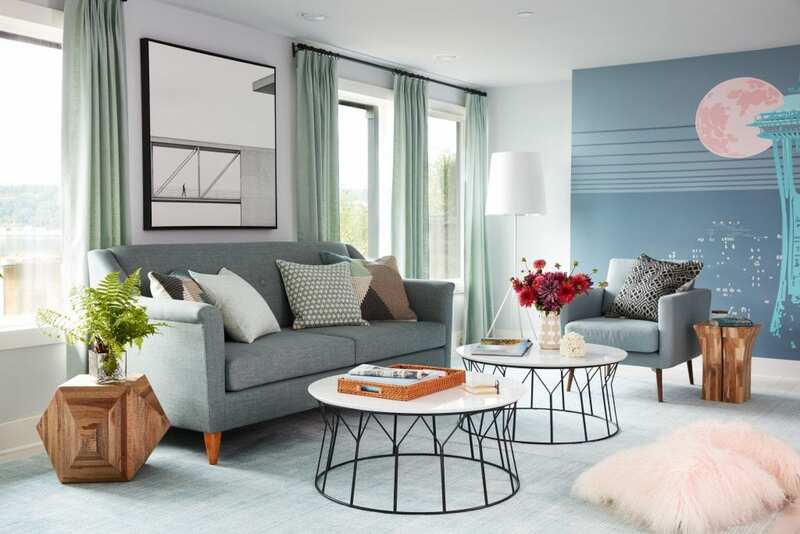 To enter for a chance to win not only the HGTV Dream Home, but also a car and $250K in cash, click here and get all the details! I am becoming a foster parent and dream of owning a dream home for all of us to live. The incredible design on this piticular home, did an amazing job. I fell in love as soon as I saw it. Aww how wonderful that you’re becoming a foster parent! I wish you much happiness in your new family and hope you get that dream home one day. Thank you for stopping by – I’m so glad you enjoyed the tour! This is really amazing. What a beautiful house. These pictures are gorgeous. I love those mirrored doors and baskets on the walls. How exciting that you were able to tour the HGTV Dream Home! Yes, I so totally agree that pictures never give the homes and rooms justice. The views of this home are incredible…I think I would be sitting out by the fire pit every day! What a wonderful opportunity to tour the lovely HGTV dream home. 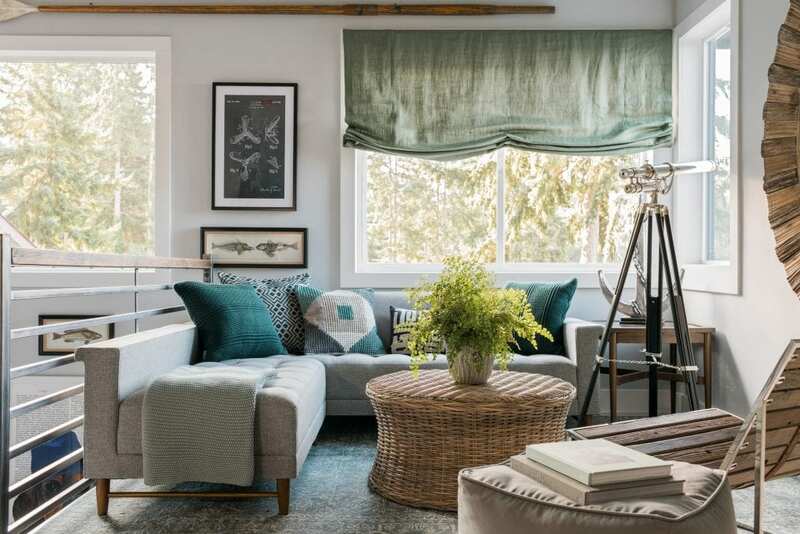 Having grown up in the PNW, I can say that those lovely large windows in the living room will be so nice on the many grey dreary days that the region has. Also, what a view! 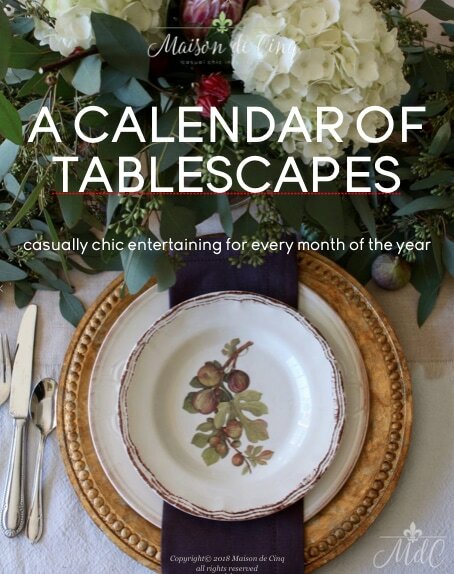 Not a huge fan of the style, but that’s just my personal taste – I am sure it will appeal to many people! I do like that blue velvet headboard! Also, Happy New Year! Thanks for commenting Angelina, and Happy New Year to you as well! Oh yay! I do!! I so hope someone I know wins it!